More than 3 million people in the US have epilepsy – including half a million children. That’s a lot of worried parents and loved ones considering epileptic seizures can’t be predicted. A medical device that was approved by the FDA earlier this year is helping those diagnosed with epilepsy manage their condition, and ease the stress of worried loved ones. Our expert, Suzette LaRoche, MD, at Mission Neurology, answered our questions about living with epilepsy and shares how a smart watch device can help keep patients with seizures safer. Epilepsy is a disorder where a person has had more than one seizure or has recurring seizures. Lots of folks might have a one-time seizure – if you’re diabetic and your blood sugar gets too high or low, you could have a seizure; or, drugs and alcohol may instigate a one-time event. These single episodes associated with a known cause are not diagnosed as epilepsy. If you have seizures that occur frequently without an immediate cause, then that is diagnosed as epilepsy. A seizure is described as a sudden surge of electrical activity in the brain. It usually affects how a person appears or acts for a short amount of time. When people typically think of a seizure, they think about the most common form of a seizure, grand mal seizure. This is when someone experiences a loss of consciousness and violent muscle contractions – people may suddenly get stiff, begin shaking, fall to the ground or may even foam at the mouth. There are other types of seizures, most of which are a little more subtle. Sometimes people may have a blank stare – they can’t speak or hear; they might act unusual or display strange or repetitive hand movements. Although less life threatening than a grand mal seizure, these more subtle seizures can still significantly impact one’s life. About 30-40 percent of epilepsy is caused by a genetic predisposition, and the majority of those people do not directly inherit it from mom or dad. It is usually a gene that’s somewhere in the family tree – an aunt or cousin, or another distant relative. What happens to the brain during a seizure? An electroencephalogram, or EEG, monitors electrical activity in the brain. This allows us to see what’s happening in the brain during and in between seizures. You can see abnormal electrical discharges occurring, which is sometimes referred to as an “electrical storm.” This is what causes a person’s arms to shake or inability to respond or speak for one to two minutes. The brain will “reboot” and the abnormal activity will usually stop on its own. Afterward, people tend to find themselves tired, confused and wanting to sleep it off – it can take people a little time to recover. What are warning signs and treatment options? Seizures are very unpredictable. Some people can feel when one is about to come on, while others have no idea. A focal seizure starts small in one part of the brain, and can intensify into a grand mal seizure with little or no warning signs. When someone can feel a seizure coming on, they usually feel a sensation about 20 to 30 seconds in advance. People who have epilepsy can be treated with certain medication that can help prevent seizures, though not everyone responds to medication. If a child has a genetic form of epilepsy, they will sometimes outgrow it. There are some genetic forms that you cannot outgrow, but it won’t get necessarily worse. Your seizures should be controlled for six months before driving a car. How can an epilepsy “smart device” help epilepsy management? 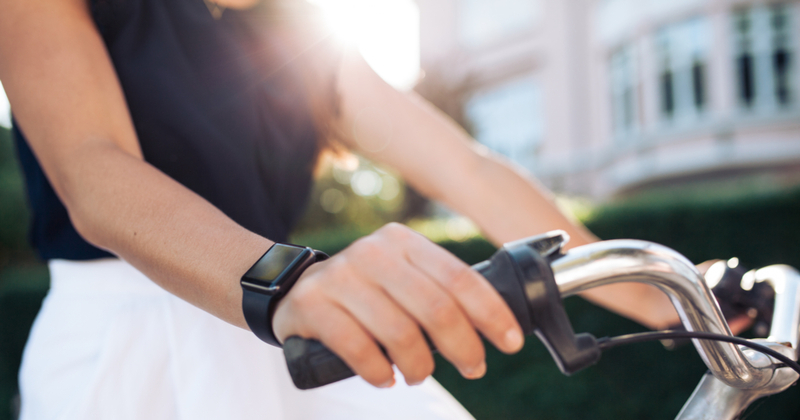 The important thing to remember with the smart watch device is that it doesn’t predict a seizure: it recognizes an individual’s abnormal movement and sends an alert to a family member or caregiver. When the smart device detects a repetitive shaking motion from a grand mal seizure, it automatically sends a text or phone call to alert a designated recipient via a Bluetooth-connected device. Within seconds, family members or caregivers will receive the alert, which include date, time, GPS location and duration of the seizure. Smart devices designed for epilepsy management also detect electro dermal responses, or “sweat response” since people who have grand mal seizures usually have an increase in sweat gland activity during an episode. The great thing about the smart device is that it’s fully portable – it can be worn in and out of bed, during sleep and waking hours, and as users go about their regular activities. The smart watch function can give family members and caregivers a peace of mind, knowing they can be alerted upon occurrence of a grand mal seizure, while also giving reassurance to users that they can go about their normal daily activities with less worry about whether they will be able to get help if they have a seizure. Suzette LaRoche, MD, is a neurologist, epileptologist and Medical Director at the Mission Health Epilepsy Center.